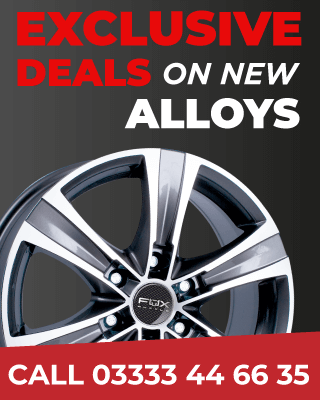 You may be asking yourself what is a diamond cut alloy wheel? If you have just purchased or leased a new car. You may not be aware that you have diamond cut alloy wheels. Yet alone the cost implications if you need to repair them. 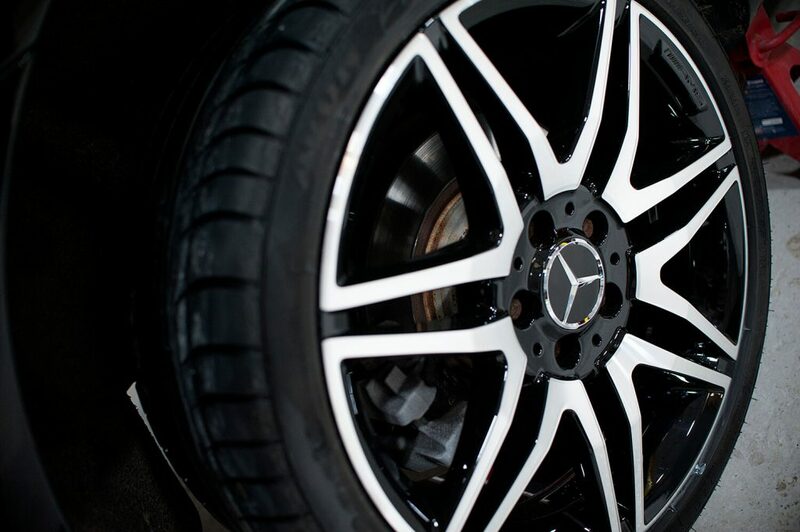 So what’s the difference between a normal alloy wheel and a diamond cut alloy wheel? a traditional alloy wheel is painted completely by powder coating or a wet spray technique often one colour, the wheels are painted to stop weather corrosion. Diamond cut alloy wheels, will have a part polished metal face with a layer of lacquer over the top for protection. The rest of the wheel is painted, the wheel will have a two-tone effect you will be able to see fine lines up close on the polished part of the wheel. Please see the photo below of a diamond cut alloy wheel. How manufactures such a BMW, Mercedes, VW, Porsche, Range Rover, achieve this effect is to use a technique called diamond cutting, which gets its name from the diamond cut tip used on a machine called a CNC (Computer Numerical Control) the state of the art lathe precisely cuts the face with a computer programme. If the profile of the wheel is not mapped out correctly by a skilled operative, too much of the face of the wheel can be cut off, rendering the wheel unsafe. Another factor is how polished the wheel looks if the alloy wheel is not cut correctly you may have a dull effect or have deep grooves in the cut. A finished diamond cut wheel will look have two tones and look like a design masterpiece, giving any type of car a prestigious makeover giving a car a more sporty look, often sold as an upgrade but more recently, cars are coming with them as standard. Design and aesthetics come at a price and inconvenience, durability is an issue and cost of repair start at £100 – £170.00 per wheel depending on the size of your wheel and the extent of the damage. A fast turnaround would be 48hrs but the industry standard is 3-5 days. Diamond cut wheel corrosion is one of the biggest reasons for a diamond cut wheel refurbishment is due to only having one layer of lacquer protection, water easily penetrates underneath the lacquer spreading a white corrosion to the rest of the diamond cut face. Unfortunately, the only remedy is to re-cut the wheel and lacquer it again. To get it back to the factory finish. Penalty on lease cars can for damaged diamond cut alloy wheels can be astronomical, the inconvenience of having your prized possession off the road. Finding the right wheel repair specialist, who has the correct equipment and the correct skills not to damage your wheel further, and who can turnaround under a 48hr period is hard to find, nearly every car with diamond cut wheels will not have a spare, so even if you have one wheel you are looking at best having your vehicle off the road for 2 days, you may want to think twice before choosing the diamond cut wheel option on your new car.